Every person in this hop is giving something away. All you need to do is go to their blog and leave a comment. 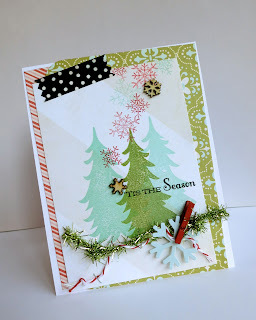 Today, I am going to share with you some of my favorite cards and projects from 2012. Some projects appeared on my blog, and some appeared in Paper Crafts Magazine. Now, grab a cup of coffee, tea or maybe some hot chocolate, whatever your favorite is, and start hopping. Here's to starting off the year 2013 in a fun way! Tell me what was your favorite thing about 2012 by leaving me a comment for your chance to win a giveaway of goodies. Make sure to post your comment by January 2nd 2013 for your chance to win! Now---on to the lovely blog of Windy Robinson! 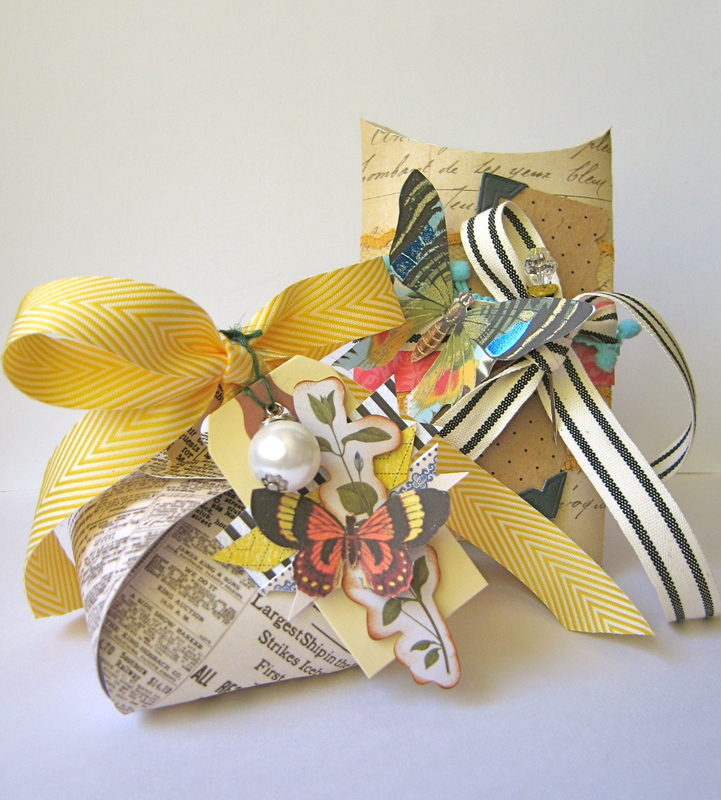 If you get lost, stop by Paper Crafts to hop back on the scrap train. My favorite thing from 2012 was adopting a sweet Australian Shepherd that I named Fenway. I think that he is the biggest bringer of happy into my life outside of spending time with my kiddoes! These are such beautiful cards and projects. Thanks for sharing and thanks for the chance to win. amazing creations!!! Happy New Year Thanks for the chance !!! Great cards and projects! Happy New Year! Thanks for sharing your cards - they all feel warm to me! My favorite thing of 2012? I became a great-aunt 3 times this year and found out two more in 2013! 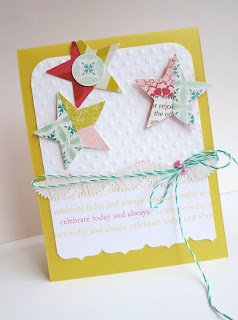 Thanks for your part in the blog hop - I've had fun! My favorite thing about 2012? There have been so many....but I got to go to California and visit my son who is in the Air Force! I'm so proud of him and miss him so much! Happy New Year! Thank you for ending 2012 with a fun hop. Love your ideas and give away opportunity. What an amazing collection of creations!! Thank you for that exciting opportunity to win! I looked at your card with my eyes full of wonder. Thanks for sharing. My 2012 was so bad that the best thing is that it is out! Beautiful...I loved the little houses you decorated and displayed for the holidays. What a great array of inspirations! Thanks! Oh my gosh, all of these mini cards are so adorable that I had to pin them all! Happiest of New Years to you! All your cards and projects are beautiful. My favorite thing about 2012, and saddest, was watching my beautiful twin daughters graduate from high school. They are our only kids, so it was bittersweet! But they both have jobs, and are going to Community College and one moved out to be a Nanny so my food bill went down!!! Happy New Year to you and yours! Favorite part of 2012 was my son't wedding! AWESOME weekend. Other than that, I have made some incredible friends through my cardmaking, mostly online, & I feel as close to them as if they lived next door. There are too many moments to have only one favorite. Otherwise, I'd have to pick my first card being published - that's one to remember. Happy New Year and thanks for a chance to win a great giveaway. Great cards and projects. My favorite thing about 2012 was being able to be a stay at home mom and spend time crafting. Happy New Year! My 2012 favourite is not a thing - it's my little nephew. Happy New Year and thanks for the chance! My favorite thing about 2012 was moving to Bolivia with my family, an amazing adventure! Happy New Year! My favorite thing about 2012 was seeing my Mom who lives out of town. We went to get a pedicure together for the first time and it was so much fun to spend some girl time together. Thanks for the chance to win! I think my favorite thing about 2012 was spending an August vacation with my family...my daughter and her family and my grandaughter and hers...my least though was a milestone birthday...ugh!! Beautiful group of cards you have shown us...so pretty to see today, since its snowy and gloomy here, they are so pretty and cheerful!! 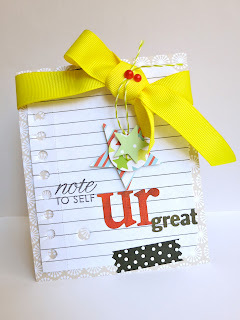 Great projects...your blog is awesome, such awesome inspiration! Happy New Year! Happy New Year. Great cards. The best thing about 2012 was getting to know the work of so many wonderful talented ladies and gentlemen through the wonders of cyberspace. I've gotten some great inspiration and I'm looking forward to more in the new year. Thanks for a chance to win a great prize. My favorite is the one with the snowmen on it. Happy New Year and thank you for doing this. Thanks for the giveaway! Great cards! Shall be using some for ideas. Favorite thing was learning how to grow vegetables this year. Thanks for the chance to win and the ideas. I love the snowmen cups. My favorite thing was my new knee! Now i can walk again! Beautiful projects! Look forward to following you on Pinterest in 2013. Thanks for the chance to win. Happy New Year!!!! Wow - what a lot of inspiration - happy new Year to you. LOVE your style...every project is pure perfection! My favorite thing about 2012 was that I started to follow many blogs and was so inspired, I started my own blog. I have had a wonderful year full of inspiration and creative adventures. Beautiful inspiration to start 2013! A Happy New Year'2013 to you. Thanks for this opportunity to win. I've not been blogging for quite a while due to PC issues. Hope to get back soon. 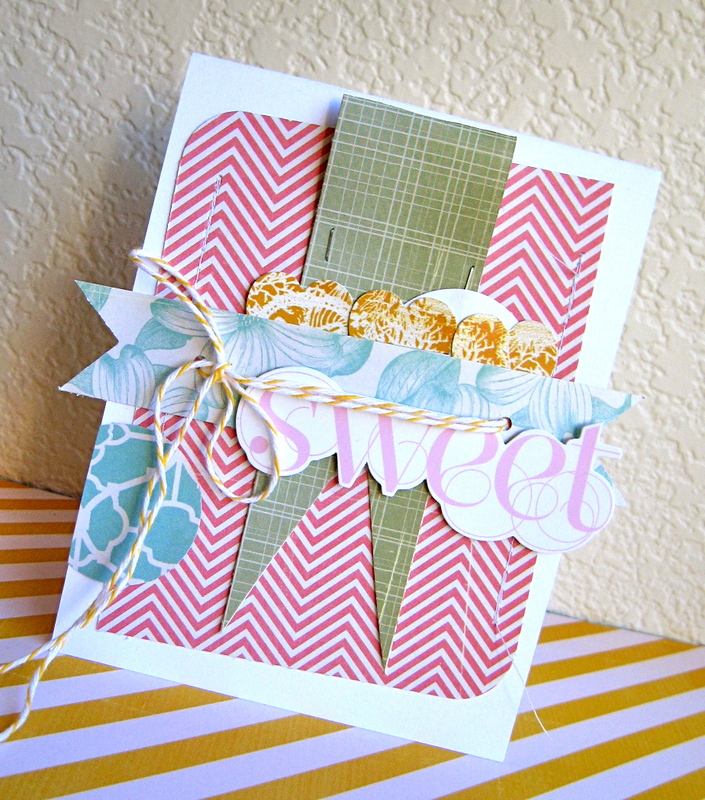 Beautiful assortment of cards and projects. Love all the added ribbons and embellishments. Makes each one special. Thanks for the chance to win and your generosity. Happy New year. Wonderful selection of cards and projects. My favorite thing about 2012 was the birth of my 4th grandchild. A fifth is due in 2013! Wow, what lovely designs and colors, its hard to pick a favorite. This is a brand new craft for me so 2012 brought me into a whole new venture and so far Im loving it. So many creative peeps. Thanks for a chance to win. Happy New Year! My fav thing about 2012? Hmmm...some new insights/self-discovery! Great give away! One day at a time, may you and yours have everything you need for a blessed and happy New Year! Happy New year! I love your cards! It's exciting to see a New Year come around but sad to say goodbye to the old one too! My favorite part of 2012 was spending time with my family. Two of my brothers are cancer survivors and for that I am so very grateful! We spent part of our summer together and it will be memories I will cherish forever! Happy New Year Emily!! Can't wait to see what you come up with this New Year!! Happy New Year. 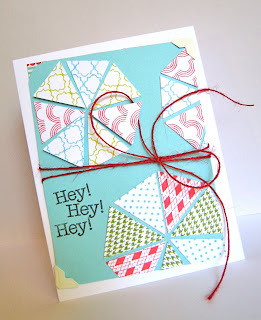 Just scrolled through your blog and I must say I love the colors you use in all your projects. So bright and cheery. 2012 was the year I started card making which I love. I spend hours in my 'woman cave' getting lost in the craft. Happy New Year! Ooooo, I love a giveaway . :) What a fun way to start 2013! Happy New Year to you! Look at all you marvelous creations! Every time I thought I found my fave, I scrolled down to see something even more amazing!! My favorite thing of 2012 was my sister finding out that she didn't need chemotherapy because they caught her cancer early enough. -- All of your projects are wonderful and have such creative designs. Thanks for sharing. Happy happy New Year to you and yours. My favourite thing about 2012---learning so many new techniques! Many I passed onto others. Besides my family and health, that would be it! Thanks for sharing all your projects! I'm in love with the boxes with the butterflies! They are so lovely! I'd love to know more about them...anyway, my favorite thing about 2012 was making gifts for people. I made a number of card sets , a shadow box for my husband and some fun paper ornaments and enjoyed it so much, it's now a goal of mine for the new year to make as many gifts as I can! Favorite thing about 2012 was making my first design team and moving back to where family is. Happy 2013! My favorite thing about 2012 was the time I spent with family. I hope to do more of that in 2013. Thanks for the chance to win some goodies. 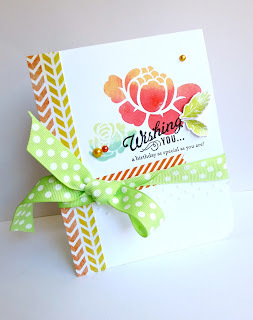 Beautiful cards and projects! 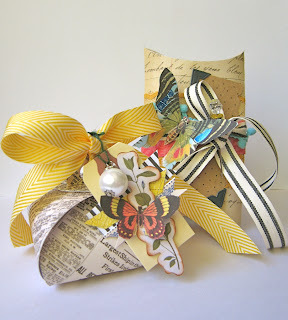 Hard to pick a favorite - but love the little gift boxes with butterflies and Christmas card. 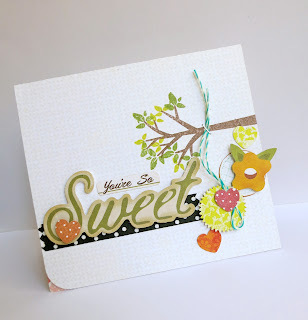 so many wonderful projects...the cards are simply beautiful but I really love what you did with sewing hoops ( ha I had to look that up I wasn't sure if it was Hoops or loops...don't mind me its been a very long night!) My favorite thing about this past year was spending time with my Brother...we live really far apart so this was special! Happy New year and thanks for the chance to win some goodies! WOW!!! What an amazing bunch of cards!!! Happy New Year to you!!! That I started an art journal -something totally different and fun ! My favorite thing about 2012 was getting my Silhouette Cameo and crafting with my BFF. Oh I love the coffee cup! 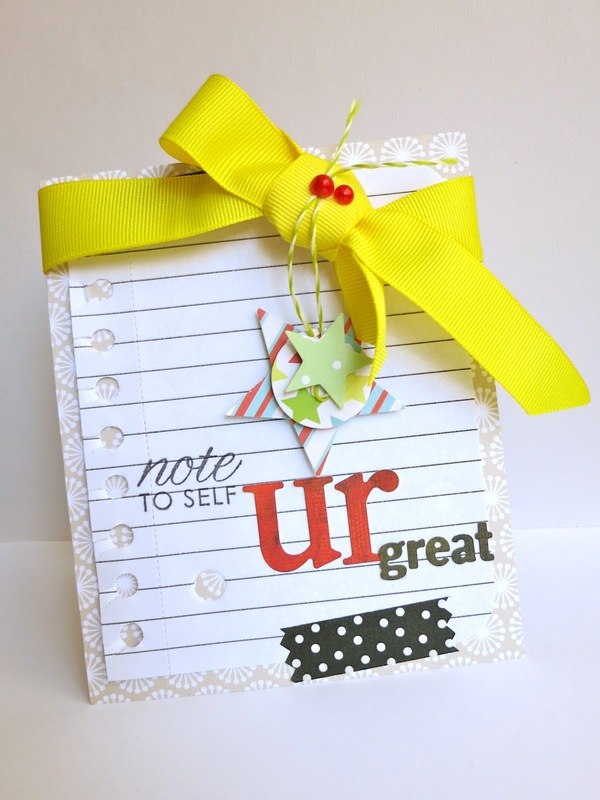 I recognize your creations for Paper Crafts Mag!! That's the one mag I just really have to have! Love your designs!!! I am going to follow your blog now and add your blog to my reader so I can keep up with your posts!!! :) Thanks for offering a prize!!! My favorite thing about 2012 was that I was asked to be a DT member!!! I am very new at paper crafting so I was honored. I can't wait to see what 2013 holds! Wishing you success and joy in 2013!!! 2012 was awesome. I made spending time with my grandkids and on my papercrafting priorities and loved it! Thanks for the chance to win. Fabulous projects!!! My fav thing about 2012 was our family trip to Hawaii.Lee-Ann:)...Happy New Year! Happy New Year! 2012 was a good year and I cannot pinpoint an exact best moment. I hope 2013 is as good or better. My favorite thing about 2012 is meeting with friends to make cards. Thanks for the chance to win. New follower here! I just LOVE all of your beautiful cards! My favorite thing about 2012 was watching my fantastic babies grow a year older, so many amazing little memories created! My favorite thing about 2012 was discovering paper crafting. My fav thing Happened to me is I got introduced to beautiful crafting world and daily I get to know some really talented peoples all around the world..
Fabulous cards - wow - love them all. My favorite thing about 2012 was starting my blog and getting to know such like minded people. New follower. Happy New Year. Great cards and projects! My favorite thing of 2012 was getting to spend time with my grandmother. Each year I have with her is a special year. My favorite thing about this past year has been the health and safety of my family. Love your cards and inspiration. 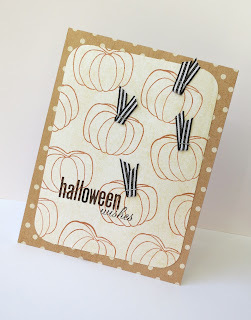 This has been a fun blog hop. Wonderful review of some wonderful projects. Wow you have some serious talent. These projects are awesome. 2012 was such a strange year for me. But if I had to pick, it would be that my oldest daughter found the love of her life, my youngest daughter found a job that pays good and works with her schedule, my son make the high school jazz band, even though he's in Jr. High, and my husband found a hobby that he loves. Totally hard to pick the best! Love them all, but those snowmen caps are just adorable! Happy 2013! I think my favorite thing about 2012 was our family vacation to Disneyland! Thanks for the chance to win and Happy New Year! Such beautiful cards, and my favorite is the Christmas card, with the 3 different colors of Christmas trees. As far as 2012, the best thing for me, was getting to spend lots of quality time with my family. Happy New Year! Watching my daughter grow was my favorite thing in 2012! Love all of your cards! Happy New Year! 2012 was not the best year to remember...lots of sadness. It did however end on a happy note, my son and daughter-in-law announced that they are expecting their first child in 2013! Thanks for the chance to win. My favorite thing about 2012...seeing Willie Nelson in concert! My favorite thing about 2012, besides crafting, was a trip to Alaska! Hope you had some great times, too! Happy New Year,Emily! Your cards are fantastic! I'm so inspired to go play but I Must. Finish. Blog. Hop....I'm so close :) Happy New Year! My favourite thing of 2012 was reno-ing my house a little...it was a learn-as-you-go process and I had a lot of help from some dear friends...but it's mine now and I love it. Looking forward to playing in it (instead of always working) in 2013, including playing in a craft room WITH a window! Beautiful cards! My favorite thing about 2012 was being able to cut back to part time when my daughter started kindergarten. It's been a great change for our family. my fave thing about 2012? well I was diagnosed with a rare & aggressive form of cancer, only to be absolutely amazed at the outpouring of love & generosity of people from all around the world who have offered their support. it brings tears to my eyes every time I think about it. Love your creation! Thanks for the inspiration and a great giveaway!!! Happy New Year, Thanks for the giveaway! Well 2012 we moved to a whole different state so I guess the good thing about it was when I found a scrapbook store!!! I'm not taking michaels or hobby lobby...I'm talking REAL one!!! It was AWESOME!! They carry everything I would think I would need and then the wonderful lady who own it said if she didn't have it she'd get it...on top of that if I had an emergency of the scraping kind call she'd open the store if they were closed ...love small towns!!! Happy New Year! My favorite thing about 2012 is that I figured out what would stop my migraines and it is still working!! Thanks for the giveaway! 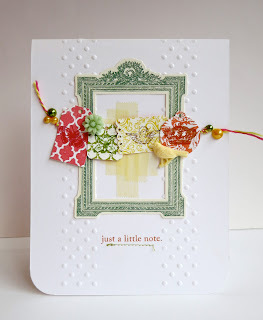 Your cards and creations are so beautiful, loving the inspiration! Happy New Year! My favourite things from 2012 was when it was over! LOL! We have had a very rough year...and hope that 2013 is much better for us. Such amazing projects! Thanks for sharing your talent with us and happy new year to you! Finding all the wonderful and gifted people and their blogs. Thanks for the opportunity. Happy New Year. Wow, this is so much fun, after somedays without crafting. My favorite thing from 2012 was the fantastic moments I shared with the people I love the most! Thanks for the chance to win some candy! I love your work!! :) Happy New Year! Happy new Year! What a great way to start! Love your cards! My favorite thing about 2012 is that my family is doing well. Your designs are fabulous! My favorite thing in 2012 was my kids doing so well in grad school and college! wonderful cards. I love the bright feeling they all give. My favorite thing about 2012 is that I started going to church and finding my way again. I started finding me again. My artistic side came right back out and I missed it so much. I am loving being able to create again. Happy New Year!! Great projects. I think my favorite thing was my youngest starting kindergarten. My favorite thing about 2012 was reuniting with my estranged daughter and getting to see my 3 grandsons after 2 years. Happy New Year! What incredible cards and projects ! One of my favorite things in 2012 was a trip I took to Alberta Canada and our drive back to Washington. Beautiful. Oh WOW! Your cards are fantastic!!!! Hmm, favorite thing about 2012...probably when we went on a family vacation and the kids got to play with all their cousins and I got to meet one of my best online stamp friends! It was great! My favorite thing of 2012 was reuniting with my estranged daughter after 2 years and getting to see my 3 grandsons. Have a great New Year! My favourite thing about 2012 was watching my little girl learn so many new things and taking pictures documentating this. Now just have to find the time to scrap it. Thanks for the chance to win! Thanx for sharing your fav cards. I'm a new follower and love your designs! I'd love to give your blog candy collection a new home; thanx for both the inspiration and blog candy opp! Loved seeing your review of fave projects from the year! 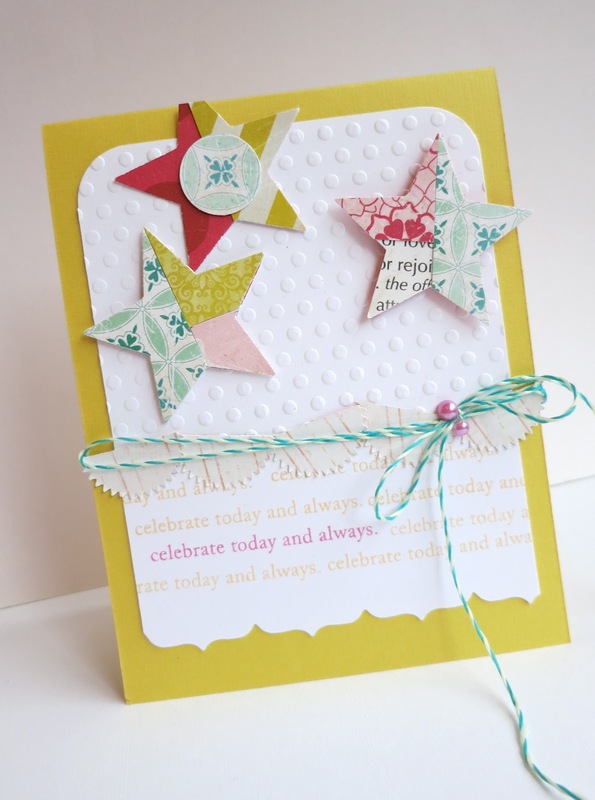 In relation to papercrafting, my fave part of 2012 was being a Limelight designer for Flourishes. 2012 is like a blur to me. Can't wait for all the fun things I have planned this year. Happy New Year! My favorite thing about 202 was my 1st granddaughter being born on April 30th. Thanks for a chance to win. Love all these fabulous cards. My fav crafty thing about 2012 was being invited to DT's!!! I am so excited to be on three of them this year!!! So many awesome cards here, so beautiful work. My favorit thing in 2012, that´s really easy, cause it´s definiotely the new really big craftroom, that hubby have build for me. With loads of space, that I´m now getting to work in. That is the best thing, there´s been in several years ha ha ha. Happy New Year and thanks so much for the chance to win here. My favourite thing about 2012 was welcoming my son's fiance to the family when they got engaged - a milestone to remember! Lovely collection of projects, Emily. Hope 2013 is very good to you. Your cards are all breathtakingly beautiful!! My favorite thing about 2012 was that I seriously started making cards and entering challenges and through that have made the most amazing friends. Such a blessing and that my son started his 2nd year of college and he is safe and happy. I feel blessed!!! My fav thing from 2012 are the fun times i spent with my son. Happy New Year. thanks for the chance win. my favorite thing about 2012 is spending time with my family. ooops... forgot to tell you my favorite thing from 2012. After much hesitation (on my part) we adopted a stray kitten my husband had been caring for at work. She is a sweetheart and already a big part of the family. No regrets!! Your cards are awesome. My favorite thing this year was spending time with my baby granddaughter. Retiring from teaching and discovering the amazing world of card making has been my favorite thing about 2012! Here is hoping 2013 is blessed for all of us! My favorite part of 2012 was getting to go on a few mini vacations. All were only 2-3 days, but fun. Wow! These are all beautiful! Happy 2013! Thanks for this amazing chance to win! Have a wonderful New Year! I think the best thing of 2012 was crafting. Seriously! Out of all the years I've been doing it, 2012 was the most fun, most innovative year!I sure will miss it. My favorite part of 2012....I'd have to say was the family vacation in Wisconsin this summer. We had a great time with family!!! Love all of your projects! Thanks for sharing. Great projects! Thanks! Happy New Year!! My favorite thing of 2012 was getting my new laptop! I've struggled for years with a very slow computer - glad to have an efficient one now! 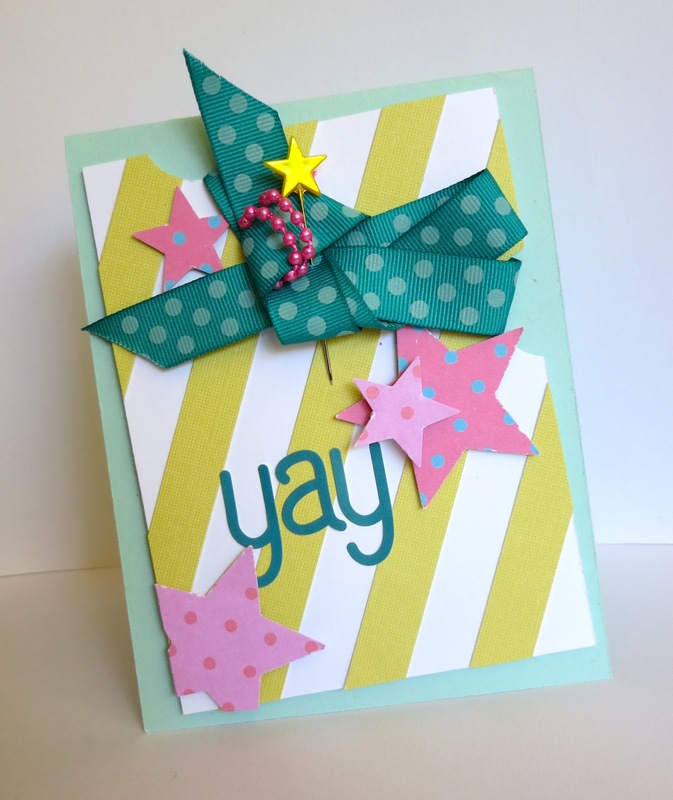 Yea to card making! Thanks for the fabulous ideas and a blessed New Year! My favorite thing about 2012 is that I started losing weight. Yippee, Yahoooo...and I'm going to keep going. Love your cards. My fav is the Thank You card!! Very sweet. Happy New Year! Thanks for sharing!!! Lovely blog. You have some fabulous projects here. I love all those amazing cards. Very inspiring. Thanks for a chance. Happy, creative new year. My favorite thing about 2012...I committed to being creative every day: cooking, writing, blogging, paper creating...It was awesome. My favorite thing about 2012 is that I RETIRED after 30 years of teaching so now I can craft! Love your style! The goodies in your give-away look awesome! Thanks for sharing! I Love your cards! It is always nice to see someone else's ideas! Your cards are so cute. Thank you for the chance to win. That 2012 is over, rough year with much sadness and death. Happy New Year! Great prize pack. Your cards are beautiful. I loved looking at all of your projects. One of my favorite things in 2012 was getting to make holiday goodies with my 80 year old mother. I'm blessed to have her. My favorite thing of 2012 was that I began to learn how to make cards, but it was also the worst thing because now I am addicted and can't stop !Thank you for sharing your creations and I would like to wish you a very happy new year. thanks for the chance to win some fun prezzies! my fave thing about 2012 was that I got to meet and spend crafting time with some wonderful online friends.. to meet in person was just the best! Happy New Year everyone! Thanks for the chance to win fun stuff. My favorite thing about 2012 was having my 3 yr old grandson with me! 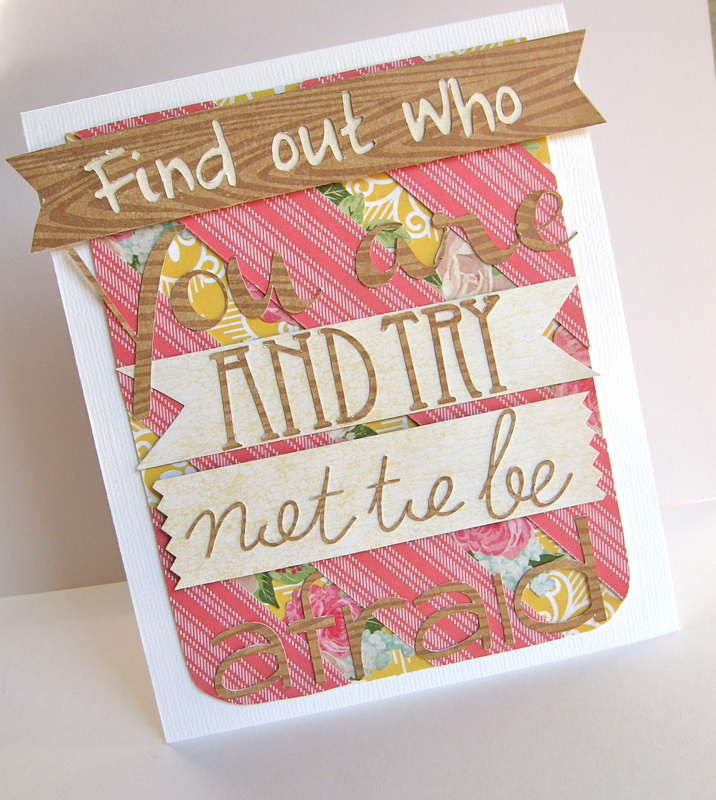 He's not with me now :( Fabulous blog hop! Thanks for your giveaway! Happy New Year! WOW! Great variety of adorable cards! My favorite times in 2012 were being with family and all of the fun things we did together. My favorite thing? Definitely being with others, (lots of family time with extended family), and meeting new friends who inspire me with their creativity..many thanks for your giveaway opportunity! My favorite things about 2012 were: (1) sewing more and reducing my fabric stash, and (2) finding an outlet for all the cards I make; I give them to Operation Write Home and they send they to deployed military personnel. These are super cute. 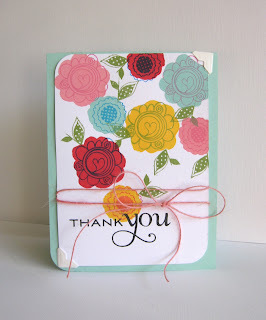 Thanks for hosting in this blog hop. I look forward to following your blog in 2013. Not sure I could pick a favourite thing about 2012. No major milestones - just lots of good times with the family!! Love your projects! Gorgeous work!! Wow, I love all your cute projects! Those mini cards and the snowmen cups are my favorites!! Happy New Year and thanks for your giveaway! My favourite thing about 2012 was the birth of my granddaughter, Hailey, in April. She is the light of my life! Thanks for sharing your wonderful cards, projects, and talent with us. They are truly beautiful. Thanks also for your generous giveaway. My favorite thing about 2012 was getting to see my uncle after 10 years and an extra-long visit with my family! I liked looking at all your wonderful cards throughout 2012. My favorite thing about 2012? Is that we moved from Colorado to Texas into a nice town and we (my family) love our new home. Happy New year to everyone! Love all your cards! Such a nice variety of techniques and materials. My favorite thing for 2012 was watching my younger son get married in his fairy tale wedding. Thanks for the chance to win some blog goodies. Happy New Year! 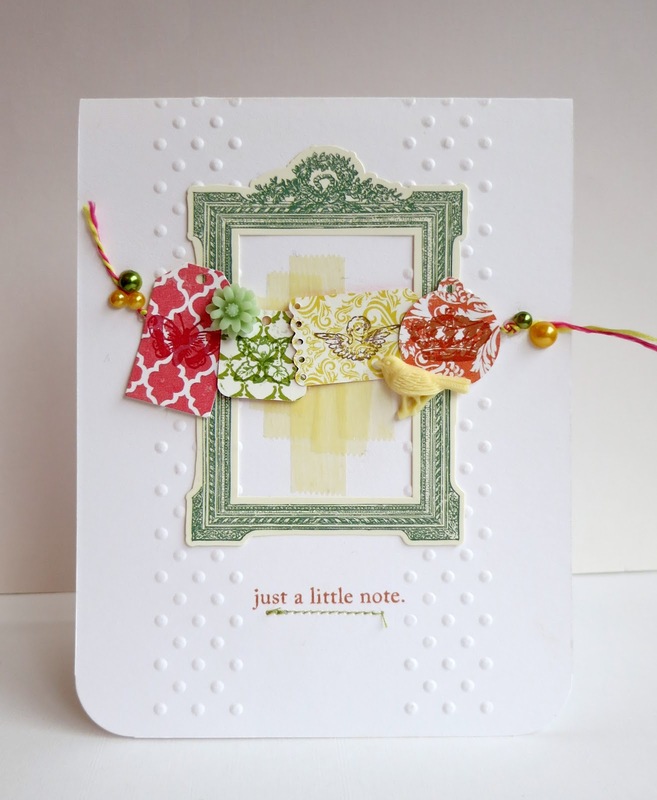 Love what you did with the Rosie Posie set in the card, must try the multi-tone flower. My favorite thing about 2012 was a trip to Africa. Wow - I love your style! :) My favorite thing about 2012 was my fifth child - Anneliese Rae - was born! Thanks for the chance! Thanks for sharing all that creativity. It is appreciated. Beautiful work! I like your use of colours. They are so clear and bright. I found 2012 wasn't too bad a year. Much better than 2011 for our family. I enjoyed visits from some special nieces and was so glad to see some family members health improve. My favorite thing from 2012 was that I was lucky enough to travel to two wonderful places, the Caribbean and Alaska. We save for years for the Alaska trip and the Caribbean trip just appeared out of nowhere, pleasantly. Happy New Year! TFS your projects, I remember see some of them before. my favorite thing I think was joining Sr. Circle and meeting new people. Happy and safe New Year. My favorite part of 2012 was getting together w/ a great group of creative ladies and meeting monthly to share our talents. I was more of a solo crafter prior! I loved your collection of cards! What great cards! Beautiful work. 2012 was not a good year for me. hope this year is better. Thanks for the chance to win your fab giveaway. Happy New Year! Beautiful cards!! Thanks for the chance to win! Happy New Year! Love your cards. I had fun card making at the lake this year. Had punched out butterflies flying around when a storm blew thru! My favorite part of 2012 was my son and daughter starting kindergarten and preschool. They both love it soooo much! 2012 was an awesome year for deepening friendships! Love your work, Emily! In 2012, I was able to spend more time with my oldest daughter! Happy New Year! Your cards are awesome. The great thing about this hop is the talent and creativity you discover on the journey. Thanks I'll definitely be back looking for more inspiration here. Happy New Year to you and yours. Thanks for the opportunity to participate - this is such fun!